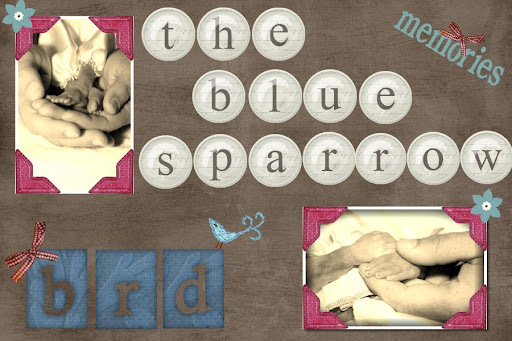 The Blue Sparrow: Would you or Wouldn't you?? Would you or Wouldn't you?? I logged onto my online Sociology class today and checked our threaded discussion. 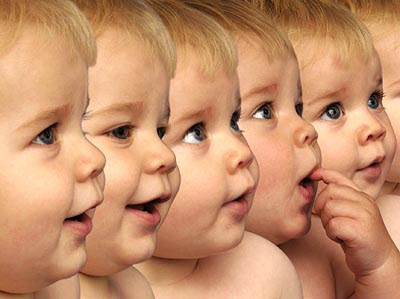 The question we had to respond to this week is about human cloning and if we support it, why or why or why not. I originally answered no, I don't support human cloning on the basis of ethical issues. I said that for one it's man playing God. Second, what about human rights? I said that human clones would run the risk of being forced to donate organs to their original human gene donor. Third, I said that it's dangerous. Most of the clones die and it can be dangerous for the mother as well. Last, can you imagine the psychological trauma of seeing a loved one who'd passed on walk down the street? At least that's how I answered this morning. I've been sitting here mulling this over in my mind all day. What if I could clone Bryston? I know logically that it wouldn't be him. That this clone would be a separate living being, but.....can you imagine it? I would get to see him grow up. I would get to hold him and do all the things with him that I'll never get the chance to. Do I really care that it's playing God if I had the chance to hold him again...??? No, I don't think I do. That's awful, I know, but it's the truth. It's torturous to think about this! I swear! There is absolutely nothing I wouldn't do to have him back. But, it's not him. I know it wouldn't be, so why am I so fixated on this idea? It's so unfair! Who would have thought that a hot topic issue like cloning would affect me like this? It's so strange all of the things that can trigger my grief. I don't know if having a cloned version of Bryston would hurt or help me but the idea of it sure sounds wonderful from where I'm sitting. If it came down to it, I probably wouldn't, but even having to make that decision would rip me to shreds. I think the best thing would be to just ban it before it's even possible, avoid the whole thing before there's even an issue to torture yourself over. Ugh....so what do you think. If you had the chance, would you do it? Do you think it would hurt you more or help you? So what do you say...to clone or not to clone? That's a hard one. I think I'd have to say no. I didn't get to see my babies like you did, but I know when we did our IVF, I couldn't do the genetic testing b/c I think it's unethical to 'dispose' of imperfect blastocysts. As I see it they are all babies, and then you get to the "where do you draw the line?" part of it all. Such a tough topic, really!!! I would love to see what my children would've looked like, how they would've behaved, but then, if they are cloned, they aren't the same person right?! So, you'd still not be seeing your first baby, so then I'm thinking it would almost be painful. I know people have commented that having a baby who looked a lot like a baby they lost was really hard, imagine seeing that daily in another child that you manufactured to be like the first, and then how would that baby feel about themselves, like they were only here to replace the first? I don't know, just thinking out loud, here, but wow! This has me really thinking (I often avoid such hot topics, to keep from having to think so hard!). Sending you love though, knowing you miss your babies everyday, as do I! And praying you have a rainbow baby here in God's time (I'm praying that's sooner rather than later :))! We are all different and that's what makes us special. As much as I miss the three I lost I think God wouldn't like that. Praying for you so much. Hm... For me, I think I would have to say no. I know the times where I have even caught a glimpse of a child who looked like or reminded me of Gerad at the same age almost crushes me all over again. I think God in His infinite wisdom knows that we wouldn't be able to handle the heartbreak of knowing that the clone wouldn't be really real. Not to sound cliche' because I totally understand where you're at but... that's part of what faith is... waiting until the day where we can see our little boys again... face to face. To see them perfectly perfect. As much as I wish I had his young teen-age self here... I can't wait to see him in Heaven and to have him take me by the hand and show me around. I love you dear bloggy friend and I pray for an extra measure of grace for you tonight. May you feel God's arms holding you in the same way you wish to be holding Bryston tonight. This is tough to think about. You're right it wouldn't be our child but another precious being that looked just like them...made in their image. I think in the end, I say no. I want her, and only her. When my husband and I lost ours, I wanted another one right away. Then someone asked if I wanted another baby, or the one I lost. I wanted the one I lost. I wouldn't clone them. Once someone is gone, you can't bring them back. As far as the whole cloning thing goes, I know there is a lot of research going on to work on cloning organs for self donation. Kind of the same idea behind donating your own blood prior to surgery. Cannot even imagine having this option & then choosing...it put me in tears just thinking about it..